Artificial Grass - Gardenmark - How to Get Amazing Synthetic Turf of Your Dreams? Artificial and Synthetic Grass for Your Home Artificial Grass and Synthetic Grass are the hottest thing in landscaping. It is one of the pioneers in the field, leading many new developments.Thursday, January 22, 20157 Things that will change your Approach towards Artificial LawnArtificial Lawn has become a great alternative to Natural Lawn. Although the use of artificial grass for lawns has increased quite a lot over period of time, there are still a lot of people who do not see it as a viable option. So, here we bring you 7 things that are bound to change your approach towards Artificial Lawn. 1) Unlike Natural Grass Lawn, the Artificial Grass Lawn is always Green. 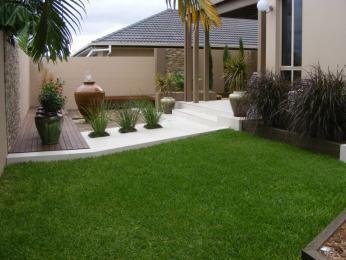 Irrespective of the weather, your lawn will always look immaculate. 2) It is safer for your kids and pets both. Artificial turf comes with a rubber base that can absorb shocks easily. So, even if your child falls on the lawn, the injury will be minimized. Also, as the synthetic grass does not become home to bugs and insects, your pets will also be safer compared to natural grass lawns. 3) You have to spend less time to maintain your artificial lawn in terms of mowing, blowing, watering and fertilizing. This saves your valuable time that you can spend doing things you love or with your family. 4) Your maintenance costs are bound to reduce as you do not need to water your lawn daily, neither do you have to mow or blow it. Also, you only need to use disinfectants rather than fertilizing it regularly. Your power costs are also reduced. 5) You can use the fake grass anywhere in your home. It is not restricted only for your lawns. Feel free to be creative with it and use it in your kids' bedroom or for your poolside or anywhere else you think. 6) As the artificial lawn requires minimal water (only for cleaning rather than irrigation) and no fertilizers, they are more eco-friendly than the real grass lawn. 7) Best of all, installing an artificial lawn is quite easy. Just by following the instructions correctly, you can accomplish your installation over a weekend. Saying that, if you are not keen on doing it yourself, there are professional installers available. So, what are you waiting for? Check out our wide range of Artificial Grass products and accessories to get your dream lawn. Garden Mark is a pioneer and a market leader in Artificial Lawn on the East Coast. GardenMark has been a market leader in Artificial Grass and sells high quality products and accessories that will guarantee you a great installation. Be it for your garden, for your private golf course or to landscape your terrace or for using in your kids' bedroom, we have the complete range of products that you can choose from. We also believe in guiding our customers in the right way so that they can make an informed decision about what to buy, where to buy it from, how to install and what are the things to avoid when making your purchase. 1. Don't go for the first supplier you contact - You should always spend time and speak to at least 3 suppliers about your requirement and get a quote and understand their product. You should not just order from the first supplier you contact, but compare products from different suppliers in terms of cost, quality, service and warranty. 2. Don't buy at fluke - Proper planning and precise calculation of your requirement is a must. You should consider the total area that you want to install artificial grass for and then based on the size of the artificial grass rolls supplied by your vendor, calculate how much quantity you will require. This will help you in saving cost of buying unnecessary quantity that will be no use to you. 3. Don't buy just any artificial grass - There are different qualities and types of grass that are available in the market. Not each type is suitable for everything. Artificial turf that can be used for Putting Green may not be suitable for your regular lawn and vice versa. So, speak to your supplier and tell them your exact needs. They will suggest you the right product. If you want to avoid all the hassles while buying Artificial Grass, just get in touch with our experts who will guide you through the complete process and help you not only with choosing the right product but will also work with you till your installation is complete. Artificial Grass is being used to build sports arenas and sports fields since the 1960s, although its usage has increased only in the last 20 years or so. With the innovations and product improvement that has taken place over the last decade or two, Artificial Grass has become more and more popular for use in both residential and commercial projects as well along with the Sports fields. Synthetic Grass tennis courts have become the first choice for anyone who is looking out for a low maintenance, high performance, all year round usable tennis courts. Artificial grass tennis courts are suitable for people of all ages and experience levels from amateur to professional. You can play singles or doubles tennis games on these courts. So, how can you go about building your own tennis court using artificial grass? This blog is the answer to your question. Once you decide that you want to build your own artificial turf tennis court, it is imperative that you plan your project properly. First and foremost, you need to identify an area large enough to install a 78 feet by 36 feet of artificial grass as that is the size of a standard tennis court that can be used for playing singles or doubles tennis. There are many artificial grass products available in the market today. So, be careful and choose the turf that is right for your tennis court. Go for high quality turf like the ones available at Garden Mark. Don't forget to buy the right quantity so that the wastage is minimum. You should also remember to buy Weed Control Fabric like WeedMark, Joining Tape like TapeMark, Grass Adhesive like BondMark & Artificial Grass Nails like NailMark. Before you start installing your new artificial grass tennis court, you have to prepare the area of installation. Remove any existing natural grass that is there. Then remove about 2 inches of top soil from the entire installation area. After removal of the grass and top soil, rake the surface and even it out. You must then spray weed killer and grass killer on the entire surface to prevent weeds and natural grass growing on the area. Lay a weed control fabric on the entire installation area and then lay about 2 inches of infill and level it out. Once this is done, you can lay the artificial grass on the surface. Use the joining tape, adhesive and nails to seam the pieces of artificial grass together as required. Once the grass is laid, evenly pour filler sand on the whole surface. Rub the sand in and fluff the synthetic grass using a push broom. As your turf is laid out, you now have to setup your net system. It can be either portable or permanent depending on your choice. As your brand new tennis court is up, why wait? Show off your tennis skills and have fun. If you would like to know more about our Artificial Grass and many more products, visit our website. How to Get Amazing Synthetic Turf of Your Dreams? Are you tired of mowing the lawn? Our natural grass needs a lot of time for mowing, cutting, watering, weeding, etc. and it would not look good if you do not trim your lawn in regular intervals. It require lots of time for maintenance. If you replace your natural grass with Synthetic Turf, you will eventually see why Synthetic turf is the way better than natural grass. Synthetic Grass has turned into the newest way to create beautiful green grass because it does not need any maintenance. It can be used for pets, children and play areas, etc. Before purchasing Synthetic turf , There are several factors that buyers should have to consider while purchasing. Research regarding the product :- To begin the research procedure, A buyers have to ask for samples and compare it with real grass. It is important that Research products look as good as natural grass. The Product should be better and also ask for quality. Environment friendly :- Synthetic grass is made of plastic, it's an environmentally friendly product, and most importantly, insects won’t survive in fake grass. It won't be attractive to the birds. Synthetic Grass is a UV resistant, Pet friendly, convenient for children, flame resistant and waterproof too. Ask for quality :- Before purchasing fake grass, Ask for a free sample, quality, services and charges. Synthetic Turf should have high quality such as good realism, soft texture, high grass blade density, etc. When you are a planning to have a beautiful garden, you have to keep all these things in mind and first you have to make a basic plan, So you will avoid ordering more than you may need and you may reduce waste. Garden-Mark is here to advise you on your requirements. 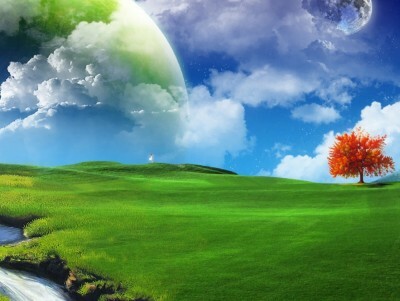 GardenMark.com is the most popular suppliers of Synthetic Turf in USA. To get more information such as a budget range, right type of grass, different widths, length and colors as well by please visit our website and select from our huge selection of synthetic turf.